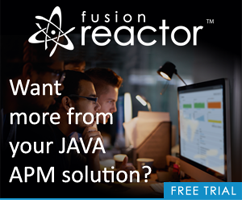 The Online ColdFusion Meetup is back after a long hiatus. RSVP for tomorrow’s meeting: “Dive into ColdFusion ORM, the Water’s Great!”, with Bradley Wood. The Online ColdFusion Meetup is a free online (duh) user group. If you do end up missing the meeting you will be able to watch a recording later. I strongly recommend joining the group so you can be notified of future meetings.